The Car GuideNewsNew ModelsA Cummins Diesel for the Nissan Frontier? A Cummins Diesel for the Nissan Frontier? 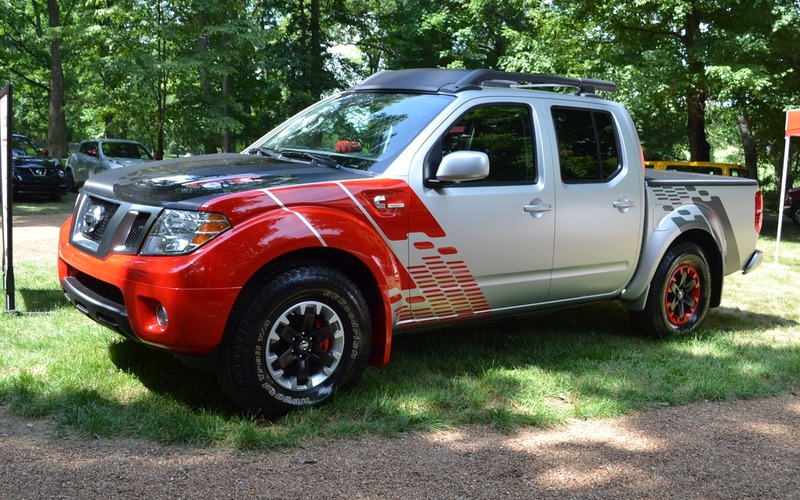 With the recent presentation of its 2015 models, Nissan gave us the opportunity to try a diesel version of its Frontier truck. The manufacturer rolled out this concept to gauge interest for such an engine in a midsize pickup, since they have already announced that their full-size Titan truck will feature an oil-burning mill. The objective is to offer a model with the capabilities and power of a V6, with the fuel economy of a 4-cylinder. Nissan teamed up with famous diesel engine builder Cummins to develop an all-new engine, a 2.8 liter 4-cylinder producing 200 HP and a healthy 350 lb-ft of torque. If they decide to build this Frontier, it would be the first application for this new engine. Nissan's engineers paired the diesel mill with a 7-speed automatic transmission in an effort to reduce fuel consumption and revolutions per minute. According to the manufacturer, this combination is 40% more economical than the V6 model, while also offering a lot more torque. While we only could drive a few kilometres in the diesel Frontier, we were pleasantly surprised by its smoothness. We have come a long way since the old knocking diesels of the past! Driving this Frontier was very similar to the gasoline version and the 350 lb-ft of torque really makes it interesting. Of course, we couldn't validate Nissan's consumption numbers on our short test. But the main argument will obviously be the price. If Nissan charges too much for an eventual diesel-powered Frontier, they will drown out all interest. On the flip side, a competitively-priced diesel-powered midsize truck could be successful in the segment. News The End Of Diesel In France?